It’s a good time to avoid Mexico altogether. There we see what happens when the love of money is let free to fly unhindered. Gunmen killed 15 people at a car wash Wednesday in a Mexican Pacific coast state where drug-gang violence has risen this year. It was the third massacre in Mexico in less than a week. The gunmen in three vehicles drove up to the car wash in the city of Tepic and opened fire without provocation, said Fernando Carvajal, public safety secretary of Nayarit state, where the city is located. Fifteen men were killed and three people were injured. The motive was not immediately clear but investigators suspect it was the work of organized crime, Carvajal told reporters. Mexico… where drugs and money mix to produce the deadliest consequences. Mexico… where the government is completely powerless. Mexico… the spot on earth where crime reigns unhindered. Mexico… if you visit it may well be your final destination. At the University of Tennessee the graduation rate for the big athletic programs (football, basketball, baseball, etc.) have been announced and the women have a graduation rate of 100%. The men- well not. Five Tennessee teams reported a GSR of 100 – Lady Vols basketball, Lady Vols cross country/track and field, soccer, women’s tennis and volleyball. A paltry 40% of the men’s basketball team earn degrees and barely half of the football team. See all the grad rates and the national averages here. None of which (except for the women’s teams at UT) are anything to be proud of. I guess student athletes aren’t really all that interested in being students after all (except for the women). For some say, “His letters are weighty and forceful, but in person he is unimpressive and his speaking amounts to nothing.” (2 Cor 10:10, NIV- which sounds like some of the very remarks I’ve overheard on the way out on Sunday morning). ὅτι αἱ ἐπιστολαὶ μὲν, φησίν, βαρεῖαι καὶ ἰσχυραί, ἡ δὲ παρουσία τοῦ σὠματος ἀσθενὴς καὶ ὁ λόγος ἐξουθενημένος. ἐξουθενημένος – has there ever been a better word which summarizes my efforts? But at least, again, I’m in right smart company. Federal agents arrested Wednesday a Pakistani-American man who allegedly helped case potential targets for bombings of Washington’s Metrorail subway system in an apparent sting operation. The purported plot was set up by the Federal Bureau of Investigation, but the suspect, Farooque Ahmed, 34 years old, of Ashburn, Va., believed it was an al Qaeda bombing conspiracy, according to a grand-jury indictment in Virginia’s eastern district. Mr. Ahmed was arrested early Wednesday. The indictment says that from April to October, Mr. Ahmed tried to aid what he believed was an al Qaeda plot to carry out multiple bombings at Washington subway stations. Muslims doing that kind of thing is as helpful to the cause of Islam as perverted priests is to Catholicism and embezzling pastors is to Protestantism. The acts of all are manifestations of total depravity and cruel perversity. ASOR is pleased to announce that ASOR Newsletter 60.2-3 (Summer/Fall 2010) has now been mailed and posted online at the ASOR home page (www.asor.org). And one is the – to me – rather strange fact the highest echelons of the SBL are more upset by the word ‘sausage’ than other words in Roland Boer’s paper that are, to me, far more provocative. I’m not really sure why Roland’s paper has been singled out. Anyone who has ever gone through the SBL program book has seen titles that aren’t only just ‘different’ but downright bizarre. And as far as I’m concerned, more offensive. Roland’s methodology is to- at least in part – provoke discussion by the use of inneundo. Had the head of the SBL simply either ignored Roland’s title or written intentionally privately (by saying something like ‘this is in confidence’) then the entire episode never would have been an episode at all. Still, I’m glad all the behind the scenes maneuverings are out in the open. Now we know what goes on in Atlanta when the annual meeting is being planned and what our membership fees go for- employing staff who can scan paper titles which have already been selected for presentation by session chairs in order to uncover potentially provocative words that ought to be cut out… at least so far as one or two persons are concerned. This arrived from th e editor of Old Testament Abstracts today and I thought I’d pass along word of it because it really is a volume that contains a number of interesting looking essays. (I’ve been abstracting books and journals for OTA for a number of years- I guess now it’s been nearly 10). How were Jewish texts produced and transmitted in late antiquity? What role did scribal practices play in the shaping of both scriptural and interpretive traditions, which are—as the Scrolls show so decisively—intimately intertwined? How were texts assembled from a variety of earlier sources, both oral and written? Why were they often attributed to pseudonymous authors from the remote past such as Moses and David? How did the composers of these texts understand the enterprise in which they were engaged? This volume furthers current debates about Qumran Scribal Practice and the transmission of traditions in Jewish Antiquity. It is published with the conviction that the transmission of traditions and the details of scribal practices—so often treated separately—should be considered in conversation with each other. It’s pricey (it’s Brill, what do you expect…) but the essays are (as they appear at first glance anyway) important and the essayists top of the line (including Collins, VanderKam, Kugel, Newsom,Hempel, Tov, Tichgelaar and Ulrich as well as Garcia-Martinez and Brooke. Anyway, since it’s for OTA the abstracts will appear there. I just wanted to pass along word of its existence here. Paul the octopus, which won unlikely worldwide fame correctly predicting a host of World Cup matches, has died, his owners said today. Stefan Porwoll, manager of the Oberhausen Sea Life Centre in Germany, said: ‘His success made him almost a bigger story than the World Cup itself.’ Paul predicted the winners of all Germany’s World Cup clashes, and then of the final by selecting one of two boxes, each loaded with a mussel food treat and marked on the outside with one of the teams. Parts of Caesarea National Park, one of the country’s prime tourist sites, are in danger of collapse due to erosion caused by ocean waves, the Israel Nature and Parks Authority warned yesterday. The authority said immediate steps must be taken to prevent further damage. 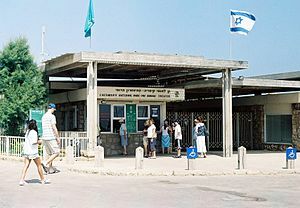 A senior figure at the Israel Antiquities Authority described the situation as a national disaster. It may sound like an exaggeration, but Ceasarea is one of the most beautiful ancient sites in all Israel and it’s threatened condition is genuinely alarming. “At the beginning of last year the beach at the ancient port had to be closed because there was no more sand,” said the official, Kobi Shavit. He added that restaurants in the area were in danger of collapse and parts of the rocky promontory north of the port, which is covered with antiquities, is collapsing, as are parts of the ancient port itself. “The picture is very worrisome, although it can still be saved,” Israel Nature and Parks Authority director Eli Amitay said. I certainly hope they do save it. It would be a horrific loss were it destroyed by erosion. Took place on the 27th of October, 1912. Brunner, you’ll recall, was the most important and most gifted of the 20th century’s theologians (in spite of Barth’s partisans insisting otherwise). Brunner was a brilliant preacher and his sermons always drew huge crowds. Unlike so many ‘professional’ theologians today, Brunner understood that theology which was irrelevant to the Church was irrelevant to the world. He was incapable of simple-mindedness and the Church has not seen the level of his Churchmanship since his death. How do you know you’re attending a ‘Mega-Church’? The First Disputation had set the stage for Zwingli’s Reformatory efforts and the Second, which was held for 3 days with over 900 participants, sealed the deal. At the end of the Disputation there would be no turning back. Zwingli would live another 8 years and would achieve much, but the solidification of his work would have to wait for Bullinger. Konrad Schmid of Küssnacht took a moderate position, and produced great effect upon the audience by his eloquence. His judgment was, first to take the idolatry out of the heart before abolishing the outward images, and to leave the staff to the weak until they are able to walk without it and to rely solely on Christ. The Council was not prepared to order the immediate abolition of the mass and the images. It punished Hottinger and other “idol-stormers” by banishment, and appointed a commission of ministers and laymen, including Zwingli, Schmidt and Judae, who should enlighten the people on the subject by preaching and writing. . Zwingli prepared his “Short and Christian Introduction,” which was sent by the Council of Two Hundred to all the ministers of the canton, the bishops of Constance, Basle, and Coire, the University of Basle, and to the twelve other cantons (Nov. 17, 1523). And pages of it will be on display at the British Museum 4 November 2010 – 6 March 2011. The report linked to includes some fantastic photos. The exhibition will focus on the most important papyri – many of which cannot be on permanent display for conservation reasons – to tell the story of the journey to the next world and to set in context crucial episodes such as the “weighing of the heart”, by which the dead were judged. 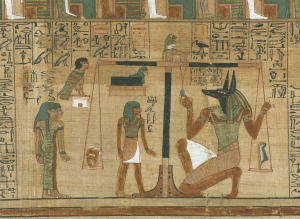 It will include the complete papyrus of Hunefer (one of the most beautifully painted of all) and the longest Book of the Dead known (37 metres), besides coffins, masks, statues, amulets, and items of funerary jewellery. A spokesman for U.S. Senate Majority Leader Harry Reid says Reid’s Hispanic press secretary in Nevada is no longer with the office amid a news report accusing her of a fake marriage to help a man evade immigration laws. Reid spokesman Jim Manley said in a statement Monday night that the conduct allegedly committed by Diana Tejada was “clearly wrong.” But he called the Fox News report a “desperation measure” by Republicans trying to gain an advantage in a tight Senate campaign. How precious is that? The Majority Leader of the Senate’s press secretary helped someone break the law… It’s both totally depraved and totally predictable. Politicians (and those around them) always behave as though the laws they pass apply to everyone but themselves. The Fox News report says the 28-year-old Tejada lied to authorities to cover up her marriage to 37-year-old Bassam Mahmoud Tarhini. But the report says Tejada was never charged with a crime. When Yasir Afifi took his car in for an oil change, his mechanic found an unusual wire hanging from below. It was part of a black rectangular device attached to his car by a magnet. After posting photos of it on an online forum, where posters identified it as a GPS tracking device, Afifi, a Santa Clara, Calif., college student and computer salesman, got a visit from FBI agents demanding their equipment back. The FBI confirms the device belongs to the agency and that agents visited Afifi to get it back. But Special Agent Joseph Schadler won’t say why it was there. My sarcastic opening remarks notwithstanding, such biased and absurd racial profiling is un-American and the FBI should be ordered by the Court to cease and desist. And now, because I’ve been critical of government policy, I think I’ll go look under my car. Not that I care if the FBI knows I go to Wal-Mart but I’m not at all thrilled with the possibility of their knowing I go to Starbucks as often as I do.